Curriculum in independent schools is not expected to comply with the standards set by the government, although students’ progress is tested regularly. Because these are “private” schools, they are not governed by the state, and their teachers do not need to be certified. This does not mean, however, that teachers’ qualifications are lesser than they are in public schools. Quite the opposite may be the case, in fact. Some private schools only hire teachers with advanced degrees, and it is not unusual for teachers in independent high schools to hold doctoral degrees. Many independent schools have the reputation for high academic standards. Their reputation is held up both by the work of their teachers and by the success of their students who get admitted to some of the most selective colleges and universities. 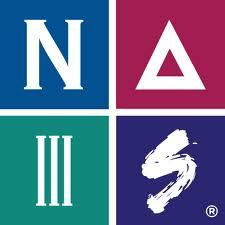 Most independent schools belong to the National Association of Independent Schools. This organization maintains a Career Center, which offers assistance both to job seekers and to schools looking for teachers. The pay at independent schools is often comparable to the pay at public schools, although it may be more subject to negotiation as the promotions and tenure work differently at each individual school, whereas they are uniformly regulated for all public schools. Because students pay very high tuition (often comparable to or exceeding the price of tuition at some colleges), classes at private schools tend to be smaller than those at public schools. The work of religious schools is regulated by the religious organizations under whose auspices the schools were organized. For many students, religious schools are a way to get education in a particular cultural context their parents prefer, or within the set of ethical and moral values the parents are comfortable with. Because religious instruction is unacceptable at public schools (because it would be unconstitutional), for many students attending a religious school provides an opportunity to participate in religious instruction as a part of their elementary or secondary education. The work of some religious schools, such as Catholic schools, combines education with charitable work, and students are admitted regardless of their economic status. Some, although not all, religious schools require teachers to participate in the same religious practice that the school espouses. Since schools are affiliated with individual religious organizations, most jobs are usually advertised through the media affiliated with the religious organization. For example, the Catholic Archdiocese of New York lists its jobs on the website of its Superintendent of Schools; Ravsak, a Jewish cultural organization, maintains job postings for Jewish day schools.